As Pablo Casals once did before, Khatia Buniatishvili places the human being at the centre of her art. The fundamental values handed down from the Enlightenment are not up for discussion. Were there a fire and a choice to be made between child and painting, she would not hesitate for a second. Yet, once she had pulled the child from the blaze, she would take it to the Museum of Fine Arts so that it might become a painter. No need to save “the fire” (as Cocteau replied) because it already burns her eyes, rages in her fingers and warms her heart. Khatia, born in Batumi, Georgia, by the Black Sea, on the longest day of 1987, knows the price of freedom and independence, and understands the energy needed to stand tall in life. The example set by her parents did not go unheeded. During the chaotic period her country went through, Khatia’s parents had to display great resourcefulness to keep poverty at bay. Her mother, who introduced her to music, sewed together magnificent dresses for both her daughters from bits of cloth that she scavenged here and there. The sisters saw before their very eyes a model of creativity for smiling in the face of adversity. 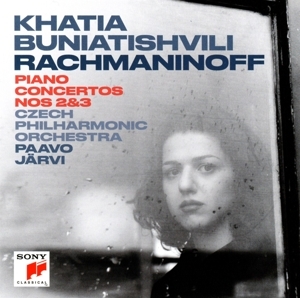 The piano, however, has never posed a problem for Khatia. She has been blessed with impressive ability, giving her first concert at the age of six. For fun, her mother would leave a new musical score each day on her piano and, hungry, Khatia’s long, octopus-like arms would devour them. As she has never had to struggle with her instrument, she has always considered pianos from the whole world as friends from whom she must draw the best, respecting the oddities of their characters and sampling the charms of their personalities; while at the same time never looking to change them or make them her martyrs. Her sister Gvastsa is an excellent pianist too. Together they make a quite complementary duo as one has her feet on the ground and the other is supersonic. Khatia’s great career has come quite naturally, without a struggle. The sun has no need to move mountains to exist for it rises and shines for all. And these are the words that spring to mind when one sees her bursting onto the stage or in life: her hair flowing, her fine figure quite the Parisian, her lips smiling, her light sylph-like steps and her feline body. But the rose will show its thorns if it feels what it holds dear to be threatened. She won’t be made to give up a humanitarian project. She won’t be prevented from helping the country in which she was born and raised. She won’t be forced to play in a land that pours scorn on her values. She won’t have playing partners forced upon her who do not inspire human respect and great artistic admiration in equal measure. For that matter, nothing can be imposed on this young lady of the air whose wing-beats pollinate works and who sprinkles a musical cloud of golden powder to the four winds. Franz Liszt is one of her heroes. He was the one with whom she wanted to venture first into the world of discography. Liszt is constantly pushing back the boundaries of what is possible. He innovates and is generous, bringing together popular and academic styles, the profane and sacred, nature and poetry – he transcends whatever he touches. 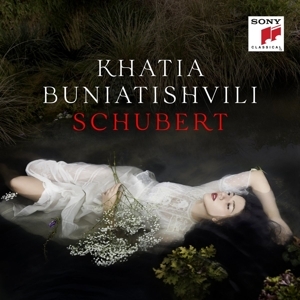 Khatia Buniatishvili avoids representation and self-intellectualisation. She could very well make her own the motto of her friend Martha Agerich, “Live and let live” – she too is a Gemini. She likes the complexity of things, not complication; paradoxes, not rigid oppositions that often prove to be sterile. She is at ease creating and less interested in reaction. Stimulated by the dialogue between the arts, she breathes the oxygen of imagination and finds balance in musing. When it comes down to it, she remains this child fascinated with life and with beings who was already reading Dostoevsky and Chekhov at the age of nine, and for whom it was already quite clear that beauty would save the world. With no distinctions made: whatever is just will sound just and will make its own mark. 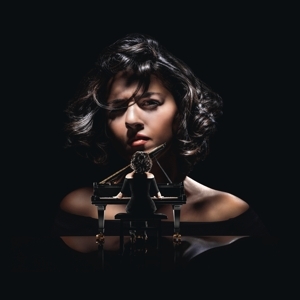 Khatia Buniatishvili, shining pianist at the height of her abilities, came into this world in a shower of light during the summer solstice. On a human level, she is attracted more to equinoxes, being smitten by justice and seeking day and night in equal share. By lifting one’s eyes skywards one might notice her playing hide-and-seek with either Venus or Mercury. The cosmos is her garden and it is in its movement that she feels alive, astride a comet. Vier Impromptu's D 899 e.a.